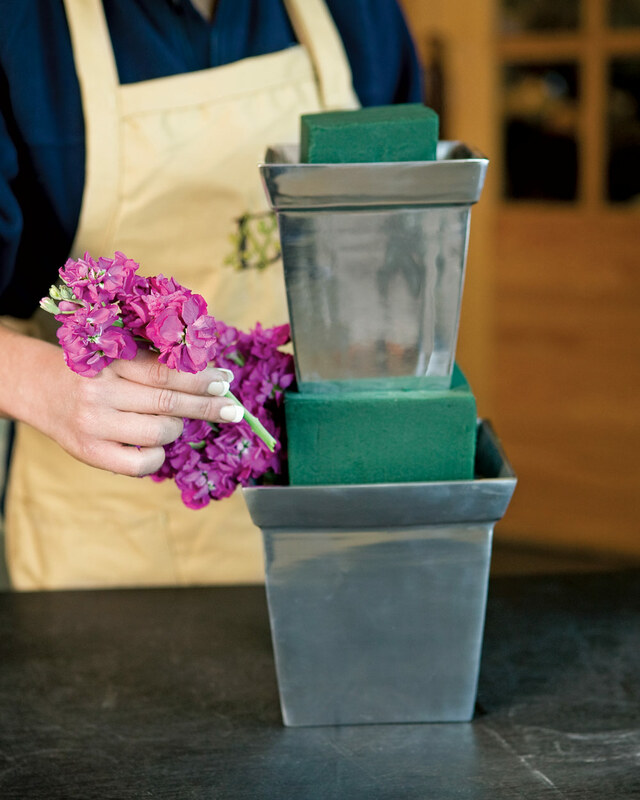 Use nested containers for an arrangement that takes fresh-flower displays to new heights. 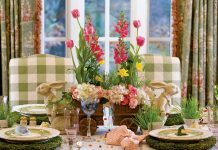 Place the soaring blooms on a buffet or side table as a feast for the eyes, or set them in the foyer to gaily greet guests as they arrive. 1. 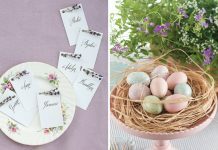 Fill both containers with soaked floral foam. Set smaller container directly in floral foam of large container. Place fuchsia stock around the top rim of both containers. 2. Insert purple larkspur vertically in top container to create height. 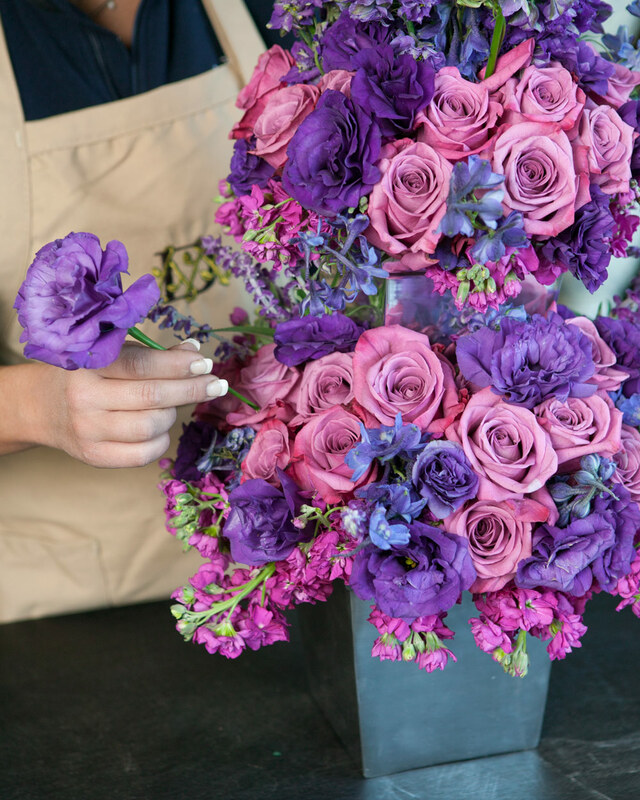 Then, add dense groups of lavender Maritim roses between the stock and the larkspur of the top container and above the stock in the bottom container. 3. 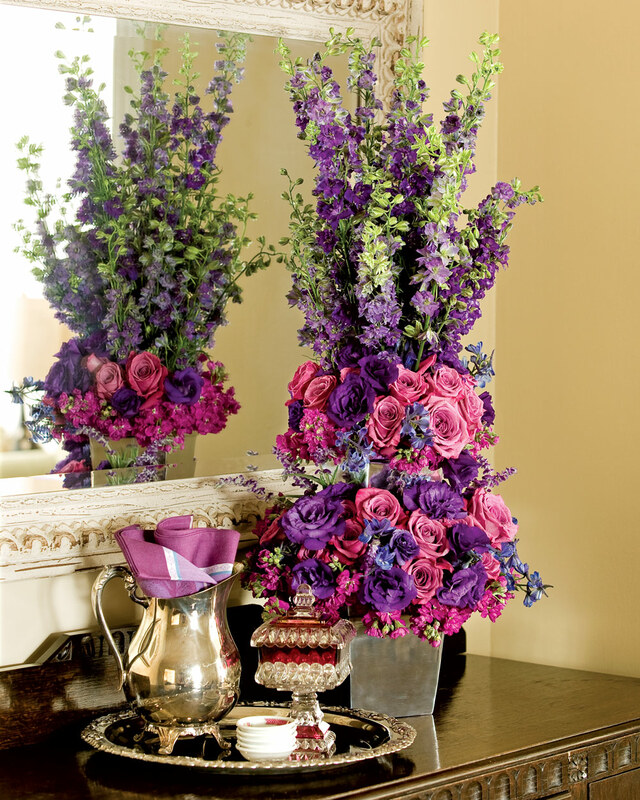 To finish, insert purple lisianthus and blue delphinium into both levels of the arrangement.